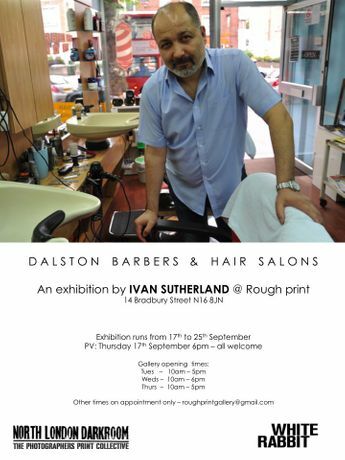 An exhibition by Ivan Sutherland showcasing his Barber Shops & Hair Salons of Dalston project. 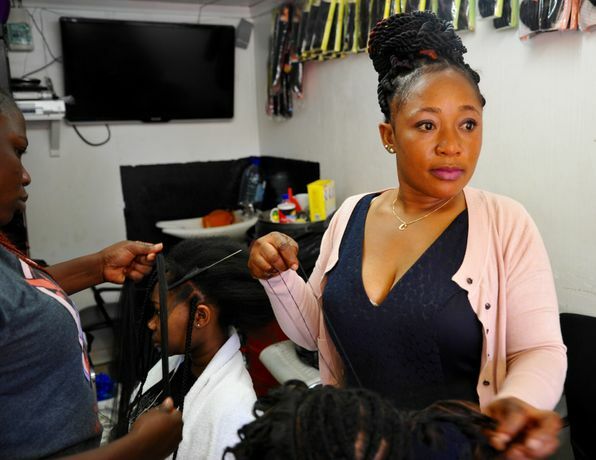 The work exhibited seeks to celebrate the diversity of the community before gentrification changes the character of the area forever. There is a sense of conversation in each print. Rough Print is a new contemporary Analogue gallery hosted by White Rabbit Restaurant in conjunction with The North London Darkroom. It aims to find, nurture and promote exceptional emerging photographers as well as showcase established ones. Rough Print is taking part in Photomonth, the East London International Photography Festival and will host weekly shows with events every Thursday night from October 2015 onwards. Ivan Sutherland is the first of many photographers whom will be exhibiting at Rough print. 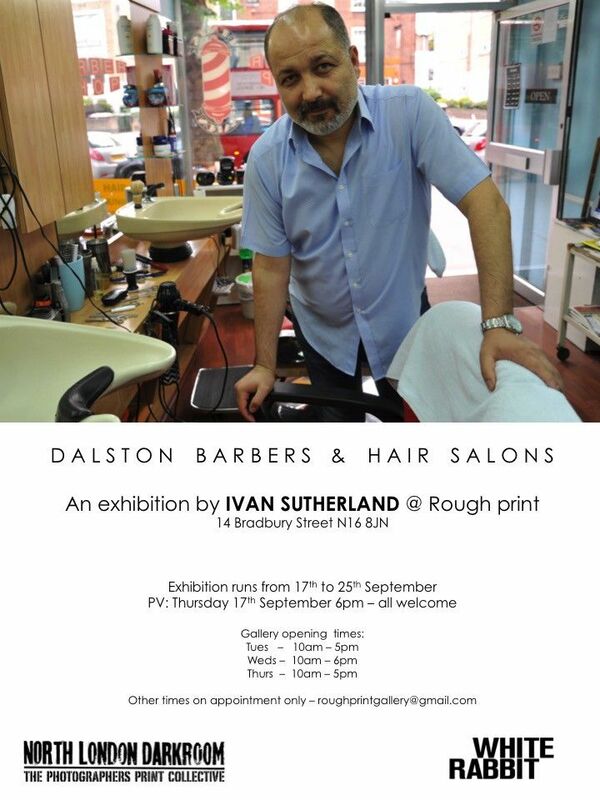 We open with his show Barbers & Hair Salons of Dalston. What most interests Ivan is photographing people in their environments, as he finds the influence of people on their surroundings, and the reverse, very appealing to explore. The exhibition previews on Thursday 17th September and runs until 25th September. The exhibition also goes in tandem with the relaunch of White Rabbit Restaurant, Rough print Gallery’s host.